Seanergy Marine presents the new gasketed plate-and-frame heat exchanger Alfa Laval T8, well suited for a wide range of heating and cooling duties. 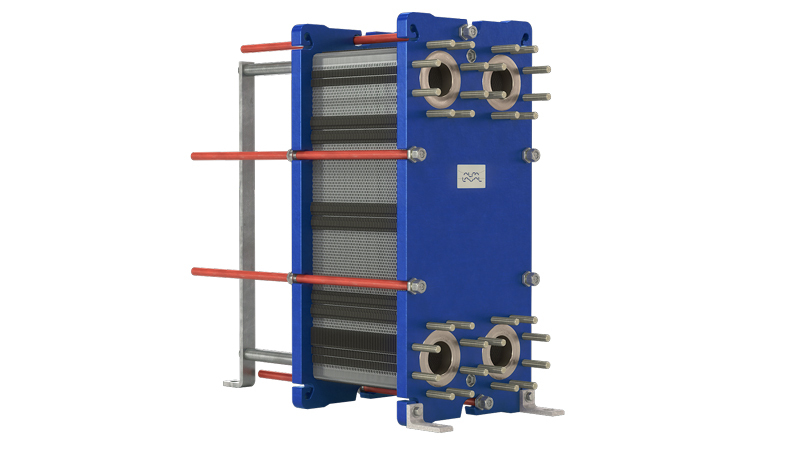 The new Alfa Laval T8 gasketed plate heat exchanger is a perfect balance between optimal capacity, reliable performance and compact size. Equipped with exciting innovations such as Alfa Laval CurveFlowTM, Alfa Laval ClipGripTM and the unique perpendicular corner guiding design, the T8 sets a new standard in minimizing your total cost of ownership in heating and cooling applications. Thanks to its compact size – less than 1 m in height – and with a connection size of 80 mm, the Alfa Laval T8 is the ideal gasketed plate heat exchanger for HVAC applications in buildings, as well as numerous other industries such as fluid power, metalworking, marine, power generation, general manufacturing, general utility cooling, engine cooling, and the semi-conductor industry. Alfa Laval T8’s unique design and simplicity combines the best of Alfa Laval’s 80 years of expertise in gasketed plate heat exchangers.